Hailing from Poland, Riverside have been putting out consistently great music for many years now. It’d be nearly impossible to define what category of “prog rock” they exactly fall under, but that’s what make them stand out from the crowd. They are one of those bands that have such a unique sound that it is easy to immediately identify them, an increasingly rare talent these days. So upon receiving a copy of their new album Shrine Of New Generation Slaves, I knew I was in for something special, something that would challenge me. But have they delivered once again or did they fall fail to live up to their past greatness? Read on below for my thoughts! Opening with “New Generation Slave”, the album begins slowly with gentle passages interspersed with dynamically heavy moments. Then, halfway through, things slam into full force and it’s straight into heavy prog rock territory. The current single, “Celebrity Touch”, is a great example of the changes of the album. The opening and verse have a very Kansas-esque feel, albeit a tad heavier. The bridge then delves into some gorgeous Porcupine Tree territory and while a guitar solo during the song could easily be mistaken as a guest appearance from David Gilmour. 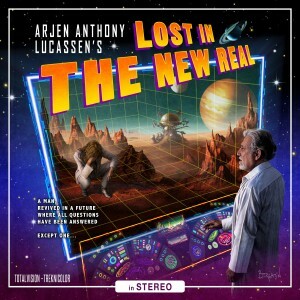 The thing that I noticed with this album is that as each track progresses there are more styles and influences. There is jazz, hard rock, classic prog rock, modern prog rock, metal, and more. From moments of intensity to sheer beauty to seductive smoothness, this album ebbs and flows with the greatest of ease from one style to another. 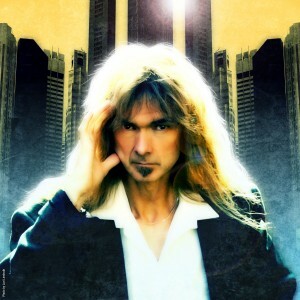 Serious props need to be given to vocalist/bassist Mariusz Duda for being so dynamic and creative with the bass. He shifts from using the bass as a lead instrument to diving back into the pocket with such effortlessness that it’s mindboggling. The Final Word: If you want an album full of mystery and seduction while tickling all your prog rock desires, Riverside’s Shrine Of New Generation Slaves is one of the best releases for you. This is an album that kicks off 2013 in all the right ways. Edinburgh-based post-proggers North Atlantic Oscillation return this month with second album Fog Electric, out April 30 via KScope. You’ll find Prog‘s verdict on the new release in our upcoming issue that hits the shops next Wednesday (April 18), but in the meantime get a taster here with the video for new single Soft Coda. NAO will also join labelmates Mothlite at a one-off show, KScope’s A Night At The Tabernacle, in London on May 2. The gig will celebrate both band’s new albums – Mothlite’s Dark Age is out April 14 – and provide a chance to showcase material in a fantastic historical venue, just as 2011′s A Night At The Union Chapel did with Anathema, The Pineapple Thief, Engineers and No Sound. Tickets are £12 and available from The Tabernacle online. 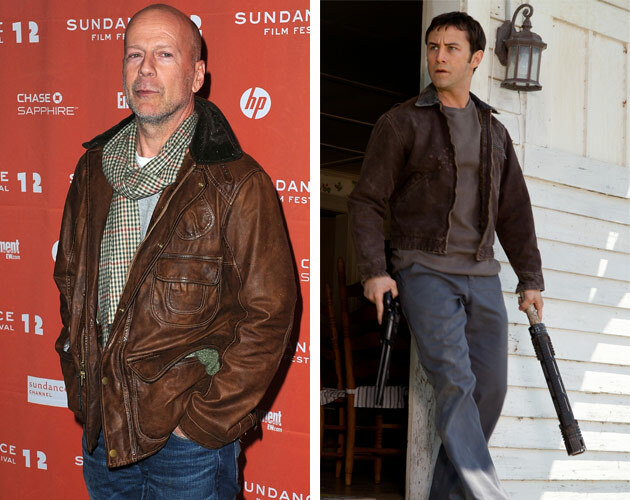 Thanks to the highly anticipated debut of the “Looper” teaser trailer Thursday, there is almost two minutes of brand-new, action-packed footage to overanalyze and dissect. We’ve already highlighted five key scenes to watch out for in the teaser, and now, MTV News is proud to bring you exclusive expert commentary from the film’s writer/director, Rian Johnson. Johnson was visibly excited for fans to see the teaser, particularly the first glimpses of the gritty future reality of the film’s setting and star Joseph Gordon-Levitt in action as a young Bruce Willis. With regard to Gordon-Levitt’s makeup to look like Willis, Johnson said, although he looks impressive in the teaser, he can’t wait for fans to see the “Dark Knight Rises” actor’s physical performance in the finished film. Johnson also hinted that, despite the blink-and-you-miss-it appearance of co-star Emily Blunt, there is more to her role than you think. The “Brick” director went on to say that he just had a plain old good time making the film, particularly the action sequences, for which veteran star Willis proved to be a very key component. Norwegian outfit AIRBAG refer to 2005 as being their formative year. These high school friends have been playing together under this moniker before that as well – they were actually formed in 1994, and the current line-up has ben in place since 1999 – but for the band 2005 heralds the start, or perhaps fresh start, as a band. They released their first EP the same year, Sounds That I Hear. Blending influences from acts such as a-ha, Porcupine Tree and Pink Floyd, they managed to create a sonic expression defying normal genre convencions – and allowing the release to be freely downloadable from their website was a smart move: In the first few months more than 10.000 people got the EP, and Airbag established a good-sized, international fanbase. In 2007 a second EP was issued, Safetree. Like the previous production this one too was freely downloadable, and further extended their popularity among a internet-savvy fanbase. 2007 also saw Airbag’s debut as a live outfit, opening for acts like Pineapple Thief, Gazpacho and Riverside. In 2009 they were signed by Karisma Records, and their debut album Identity was issued. This time as a regular commercial production. The release of their debut effort saw the band withdraw their previous EPs, as many of the tracks on those efforts found their way onto their first full length venture – albeit in more or less refined versions. The current line-up is Asle Tostrup (vocals) Bjørn Riis (guitars, vocals), Jørgen Hagen (keyboards), Anders Hovdan (bass) and Joachim Slikker (drums). 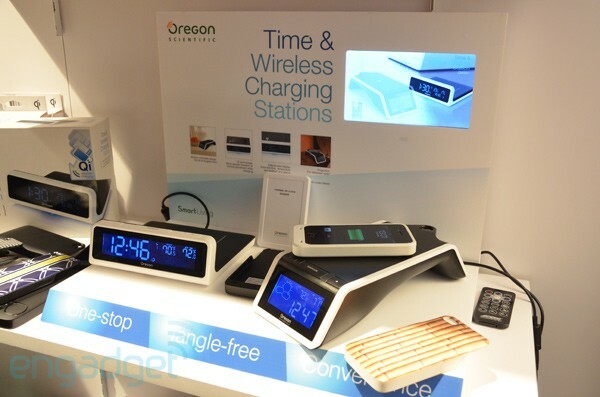 Buried within the pile of gadgets at Oregon Scientific’s CES booth were these two Time & Wireless Charging Stations. On the left we have the entry-level clock that’s already out in the market, whereas the bigger “plus” model on the right made its debut at the show, boasting the extra clock projection and weather forecast feature. Also shown along side were the customized iPhone 4 Qisleeves that Oregon Scientific will be offering online, and they actually had pretty high quality finish, too, especially with the texture coating on top of them. Do take a closer look in our hands-on photos below. Although this book was published almost 25 years ago, it is a fine time to pick it up before the release of the theatrical version in 2013. I have been listening to this band for over 5 years now and they just keep getting better. Their new album, “The City Sleeps” shows that they are hitting their stride on target and I surely hope to hear more from them in the future. Catch the wave and give Touchstone a listen, you won’t be disappointed.